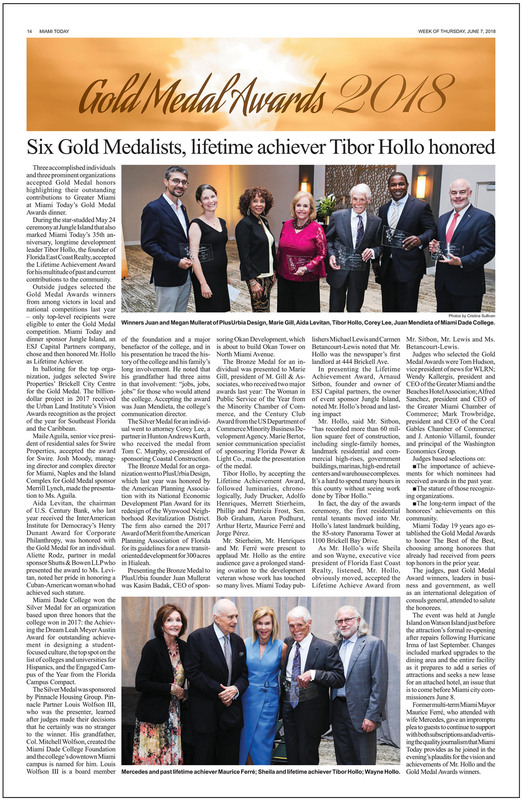 PlusUrbia Design was honored by the Miami Today‘s 2018 Gold Medal Awards competition earning the Bronze Medal for an organization. Our boutique studio was eligible for the award because it won the 2017 American Planning Association’s APA National Economic Development Plan Award for its Wynwood Neighborhood Revitalization District plan. PlusUrbia earned the Gold Medal Award for its context-sensitive, community-based planning. It submitted a brief portfolio to the Miami Today judges that emphasized innovative urban design that promotes multimodal mobility, affordability, and connectivity that enhances quality of life. Our studio has emphasized healthy living through access to open space, public transit, affordable housing, mixed-use development, active recreation and safe complete streets. PlusUrbia has donated more than 1,000 professional hours to the ongoing Master Planning for a Healthy and Resilient Little Havana, in collaboration with the National Trust for Historic Preservation and the Health Foundation of South Florida. Our 12-person studio has devoted more than two years listening to residents and crafting an Action Plan to improve the lives of one of the poorest, most unique, socially and demographically rich neighborhoods in the nation. Whether it is a Transit Oriented Development, Community Redevelopment Agency, Business Improvement District, Transit Corridor, Action Plan or Visioning Exercise – PlusUrbia’s work focuses on outcomes that support healthy living in urban areas. 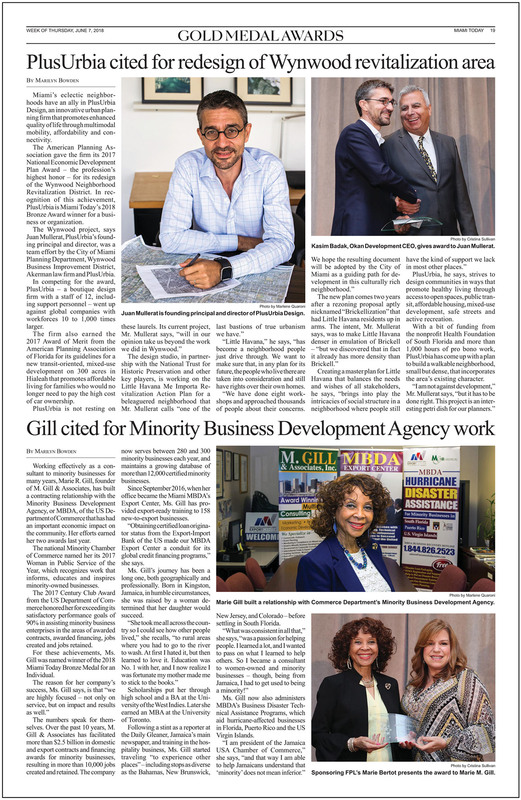 Miami Today, celebrating its 35th year, is a weekly newspaper that reaches more than 68,000 readers and covers government, development, design, real estate, business, finance, health care and related issues that impact the future of Miami.